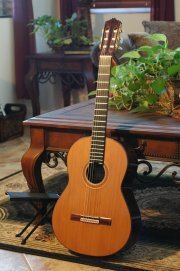 The 1937 Hermann Hauser guitar making course is now available on cd-rom. You can purchase the CD-Rom for $39.95 + $5.60s&h = $45.45. Use this cd along with the books "Guitarmaking-Tradition and Technology" by Cumpiano and Natelson and "Making Master Guitars" by Roy Courtnall. 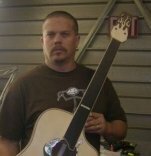 Hauser and Rodriguez plans are available through The Guild of American Lutherie. Plans are not included with the cd-roms. 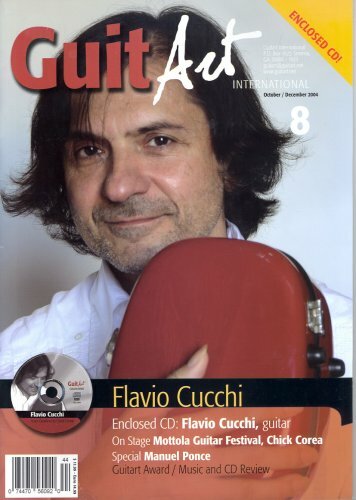 The Online-Apprentice 1937 Hauser course was reviewed on page 47 in the October/December 2004 issue of Guitart. I bought this cd from David many years ago. I was building using the books mentioned in the ad and used the suggested plan. continued to use on other builds using different plans. Very well done. To place an order for any Online-Apprentice Course you may use the "PayPal" order buttons below. Online-Apprentice 1937 Hauser Cd-Rom and Miguel Rodriguez = $79.90 + $23.95 S&H International Buyers: All items will be sent as commercial goods. I will not commit fraud by sending item(s) as gifts, samples, or a lower value on the package. Client is responsible for all Import duties and taxes. Online-Apprentice 1937 Hauser CD-Rom International Buyers: All items will be sent as commercial goods. I will not commit fraud by sending item(s) as gifts, samples, or a lower value on the package. Client is responsible for all Import duties and taxes. use the "PayPal" order buttons below. Online-Apprentice II Miguel Rodriguez CD-Rom International Buyers: All items will be sent as commercial goods. I will not commit fraud by sending item(s) as gifts, samples, or a lower value on the package. Client is responsible for all Import duties and taxes. New! Payments can now be made by credit card!